An apartment building with satellite dishes on its roof stands in front of the Ala-Too mountain range. 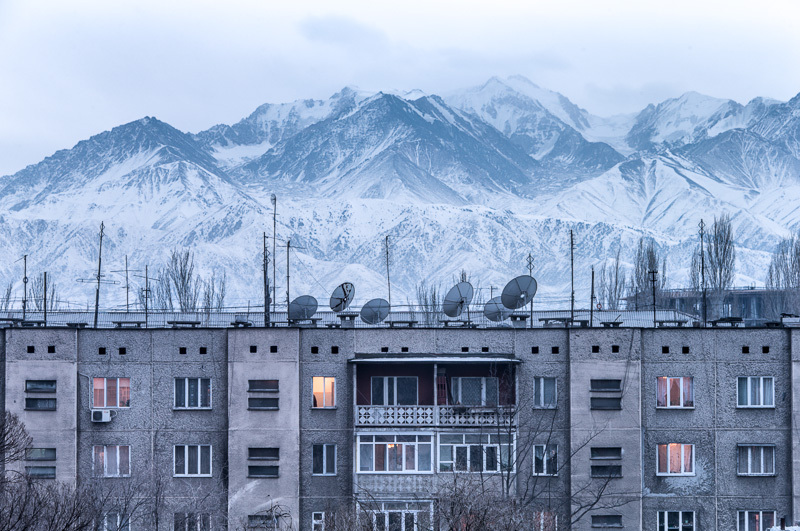 Photo taken on January 03, 2014 in Bishkek, Kyrgyzstan. A great contrast but a unity of tones. V.
Remarkable juxtaposition of two worlds in strange harmony. V.